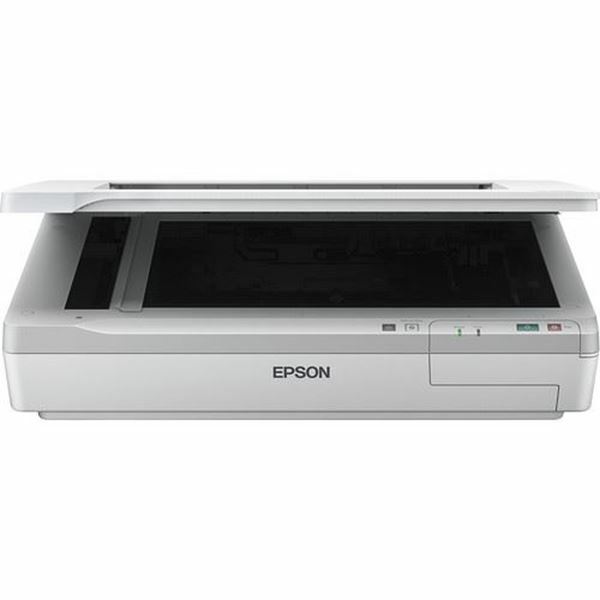 The DS-50000 is equipped with a high resolution of 1200 dpi CCD sensor and fast scanning speed of 300 dpi that captures images, graphics, and text in clarity and accuracy. 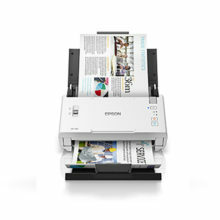 It has a flatbed scanner that allows you to quickly and easily scan A3-sized and wide-format documents such as maps, drawings, or large bound books and even odd-shaped articles. The book spine correction scan is a new feature for Windows platform users only to correct shadow and curvature around book spines. 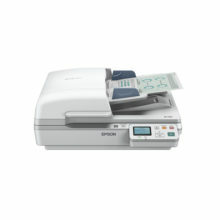 The DS-50000 is bundled with professional software that allows you to easily manage your scanned files. The software allows you to easily scan, view, edit, save and transfer scanned documents. 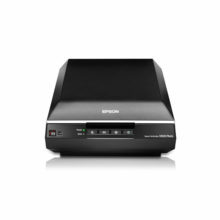 It can optically recognises barcodes, characters and blank pages in scanned documents to separate sections into different folders. It also provides quick access to post-scan destinations, including scan-to-print, email, Windows™ Public Folder, FTP Web Folder, and Scan-to-Cloud services such as Microsoft® SharePoint Server, Evernote®, and Google® Docs™. The software supports up to 30 customisable job settings. The software facilitates regular scanning on Mac computers with one pre-defined and supports up to 10 customisable jobs. The OCR software enables searchable content on your scanned PDFs for greater productivity. The languages supported are English, Traditional Chinese and Simplified Chinese only. With the optional network interface panel, the DS-50000 can be shared amongst a work group through Ethernet. Users can easily select desired PC to scan to within the network via Document Capture Pro (for Windows platform users) or Epson Scan (for Mac platform users) application installed on client or server PC. Stores original font size and maintains scans as an original copy. Saves power consumption by programming the scanner to Power Off after being idle for a set time. Pick one of the preset colors (red, green, blue, pink, purple, yellow, or orange) or use customized settings to remove or enhance the visibility of ink signatures, “Confidential” and “Urgent” stamps. 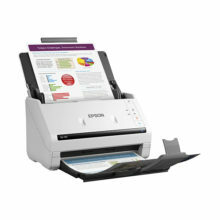 This feature can also enhance or dropout multiple colors (maximum five) with one pass. The DS-50000 is Energy Star® certified as it comes with a power-saving sleep mode that reduces energy consumption. With its energy-saving LED light source that requires zero warm-up time, power consumption is greatly reduced and it is still able to provide instant responsive scanning.